The tea experts at Bingley worked with Steven to create these blends that evoke the soul of StevenBe in custom packaging. Pop Your Cherry Blossom is a Darjeeling green tea blended with dried cherries, coconut, and rosebuds. Whether sipped under our signature chandelier or at home with your favorite project, this exclusive tea blend from Bingley's and StevenBe is sure to please. 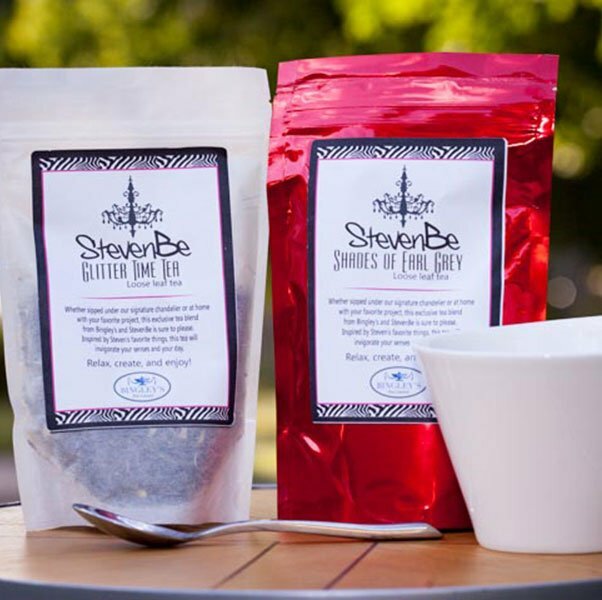 Inspired by Steven's favorite things, this tea will invigorate your senses and your day. 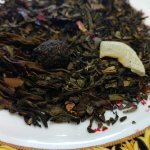 Contains: Darjeeling green tea, China green tea, white tea, dried cherries, coconut (coconut fat, sugar), flavoring, and rosebuds. Edible sparkles and color mist.